Providing you the best range of digital panel meters for chemical industry with effective & timely delivery. With thorough knowledge and understanding of the market, we have been able to provide Digital Panel Meters for Chemical Industry. These panel meters are designed with finest quality material & leading techniques by our skilled workforce. These panel meters are provided with in-built alarms that can be configured to activate on low as well as high set points. The offered panel meters are quality tested by our quality controllers so as to supply a fault free range to customers. 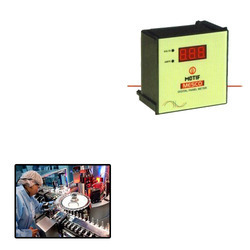 Looking for Digital Panel Meters for Chemical Industry ?